The "normal" CD contains the normal album without any bonustracks. It contains the same tracklist like the 2002 version but is a new remaster. 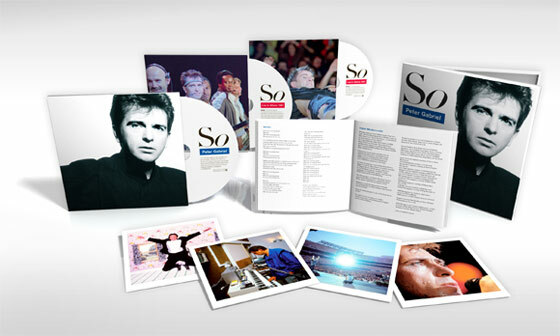 The 3CD-Set contains the normal album in 2012 Remaster sound, with an additional double-CD with a complete Athens show from 1987. 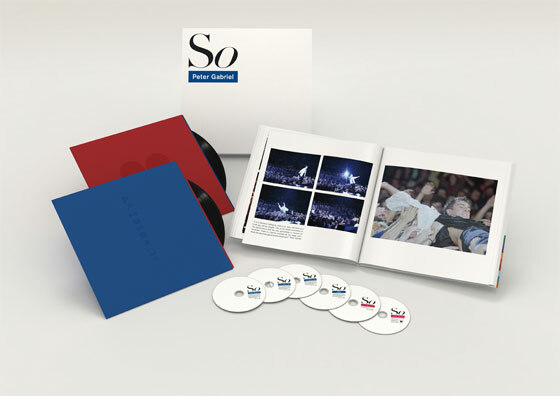 The "big" boxset contains 4CDs, 2DVDs, one LP and a Double-A-Side Maxi-Single. There is also a 60 page hardcover book. The whole album, all songs in early Work-In-Progress-versions, some of them with different lyrics and other music elements. The documentary, as known from the BBS broadcast, but 30 minutes longer on this DVD. It will also be available separately - also on Blu-ray. This DVD is a complete concert film from the Athens show 1987, it was built from scratch from the original material and is also mixed in 5.1. It is different from the POV film and contains more tracks. The tracklist is identical to the Live In Athens CDs. The three bonus tracks will also be available digitally for box-set owners! Looking at the above mentioned releases, the boxset should be of special interest. It is obviously a new mix and a completely new concert film. The old POV film seems to be gone, but we get additional songs, so it looks like a complete concert film now. Bonus footage has not been revealed yet. Since Gabriel himself said a while ago they were working on a HD version of Live In Athens, it can be concluded the concert film will be available on Blu-ray at some point in the future also. It seems this CD is something like a "Baby" CD in the Achtung Baby Boxset by U2. It may be interesting, but it looks like these tracks are the only work in progress outtaked available. It seems that the 3 unreleased tracks, 2 of which are completely unknown songs, are only available on vinyl! With recent release policies in mind, one might think that Gabriel will make these tracks available in Apple lossless and MP3 format to those who buy the boxset directly from his webshop. This a speculation, but would not be a real suprise. The two so far unknown tracks were rumoured to be included on I/O some years ago. It seems there will NOT be a 5.1 version of So! It seems strange to mix vinyl formats with CDs and DVDs. Also, the documentary will be available separately on DVD and also Blu-ray! It doesn't make much sense to have it included here, especially when you own a Blu-ray player. Also, the B-Sides are missing (Curtains, Don't Break This Rhythm), no 5.1 version, a 2CD Live In Athens - which is really not necessary when you can have the complete film on DVD or Blu-ray in 5.1. It looks like this release is more disappointing than pleasing. OneRepublic feat. Peter Gabriel - A.I.